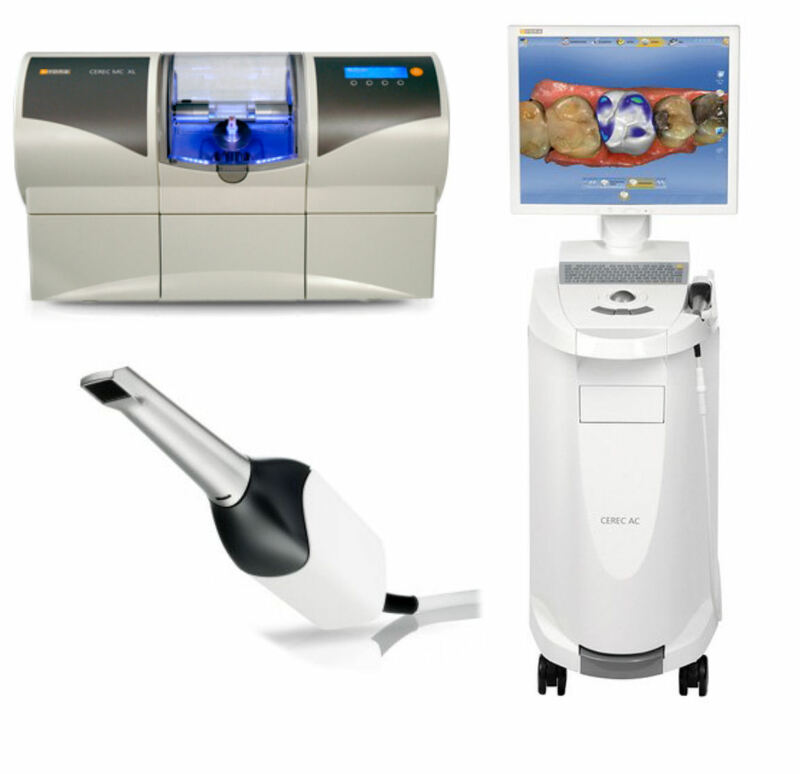 CEREC single visit dental crowns, veneers, inlays & onlays in Kingston, London. One of the main factors that may hold people back from undergoing dentistry is the number of appointments they may potentially need to attend. However with CEREC technology, we can now provide an inlay/onlay/veneer/crown restoration in a single 60-minute appointment. Using this revolutionary CAD/CAM system, we can design, manufacture, and install a new veneer, inlay, onlay or crown in a single visit, which would previously take at least two visits over two weeks. In just an hour you can have a new healthy smile. CEREC involves using highly durable tooth-colored ceramic material to quickly and efficiently restore damaged teeth. Our dentist will take a digital image of the tooth using a special camera. This is as an alternative to creating an impression with the traditionally utilised dental putty. This means that patient gagging on dental impression materials is avoided with Cerec. This photograph is then converted into a computerised 3D model, and used as a guide to create the new ceramic restoration. The information is then transmitted to a specially-designed milling machine, which creates the restoration from a specially selected, high-quality high strength ceramic block. The restoration will match the colour of the patient’s other teeth. The finest quality aesthetic ceramic materials are used to ensure restoration strength and high aesthetics. 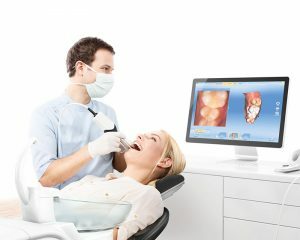 What are the benefits of having a CEREC? 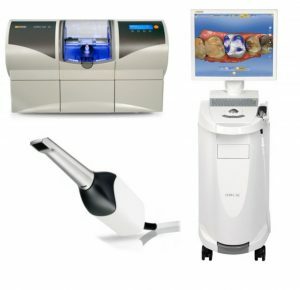 The advantages of using CEREC treatment are primarily its timing and efficiency. A local anaesthetic is only required once, making it the perfect solution for people who have previously suffer from needle phobia. The treatment is perfect for busy individuals as it only needs one 1 hour visit. There is no need for temporary restorations that can debond between appointments. Prevents patient gagging on traditional dental impression materials. A CEREC restoration will cost between £495 to £595 per tooth which is similar to cost of traditional crowns, veneers and inlay/onlays. We provide 0% dental finance on treatments over £500 so that you can have your treatment now and to spread the cost of their treatment without paying any interest. Pearl Dental Clinic is open 7 days a week from 9am-10pm so that you can have your dental appointment without having to take time off work. You can book a CEREC consultation appointment by calling us on 0208 547 9997 or emailing us or book an appointment online.